This demo page showcases the Bitmovin Player's ability to handle streams which have audio available in multiple languages alongside multiple subtitles. Bitmovin supports multiple audio/language tracks, without the need of duplication or repackaging the video, either for live or on-demand content. 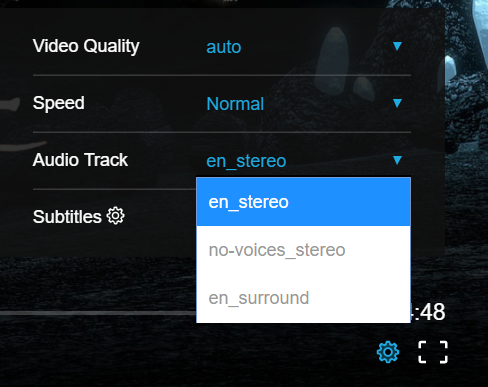 Due to the flexibility of DASH, content publishers can easily provide multiple language tracks for video assets, where our player supports multi-bitrate audio tracks also in multi-language scenarios. The Bitmovin Player also allows viewers to instantaneously switch to an alternate audio track either before or during playback. Bitmovin also supports subtitles and closed captions. Switching during playback of the video to different subtitles is possible. The subtitles are fully separated from the original video files. Step 1. 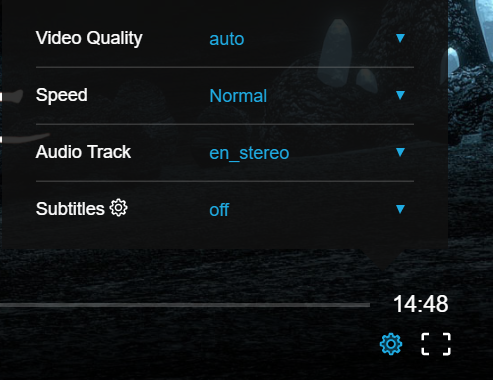 Open the settings menu of of the player using the gear icon in the bottom right corner. Step 2. Select your preferred audio language.